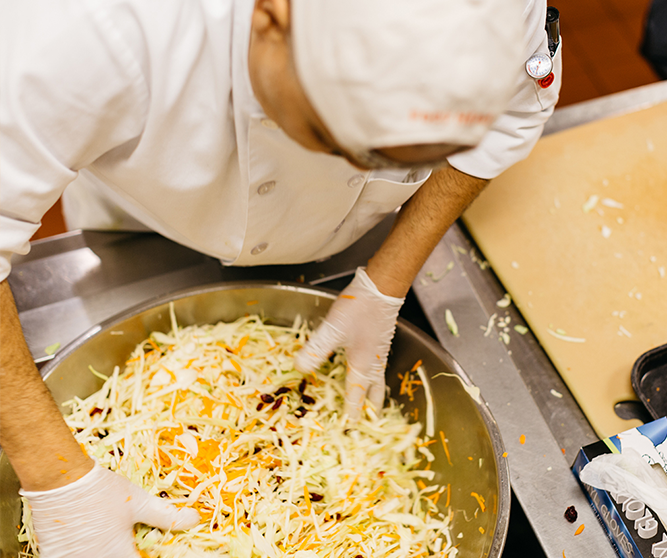 WE BELIEVE IN THE ASTONISHING POWER OF FOOD. Community Servings is a not-for-profit food and nutrition program providing services throughout Massachusetts and in Rhode Island to individuals and families living with critical and chronic illnesses. We give our clients, their dependent family members and caregivers appealing, nutritious meals, and send the message to those in greatest need that someone cares. Our goals are to help our clients maintain their health and dignity and preserve the integrity of their families through culturally appropriate, home-delivered meals, nutrition education, and other community programs. The majority of our clients face hardships that would otherwise prevent access to nutritious meals. Critical illnesses do not discriminate, and at any point in time, anyone can receive a diagnosis of a debilitating disease. It’s important to recognize that a critical illness does not change who our clients are, but it can change how they are able to navigate their lives.